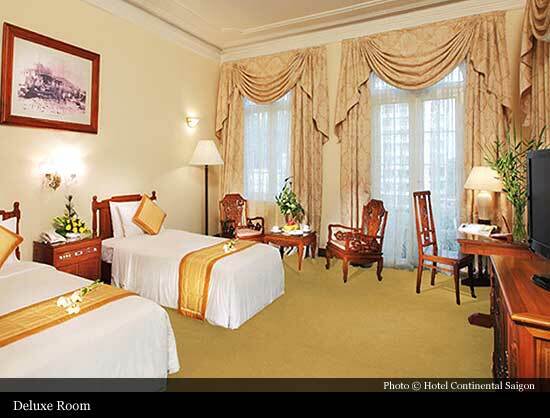 The Hotel Continental Saigon is situated on Dong Khoi Street, one of the oldest and most central streets in Saigon. In the old days, Saigon’s streets were simply named by ordinal numbers. Starting from the Saigon River bank, Dong Khoi was the Sixth Street. In 1865, the French Commander De La Grandiere renamed these roads and Sixth Street became Rue Catinat, a busy place, especially during the French Colonial Era. "Rue Catinat" at one time was a very bustling and crowded place, especially with the French. Later on, across the street from the Continental the first foundations and floors for factories were built, the first one for Denis Frere. 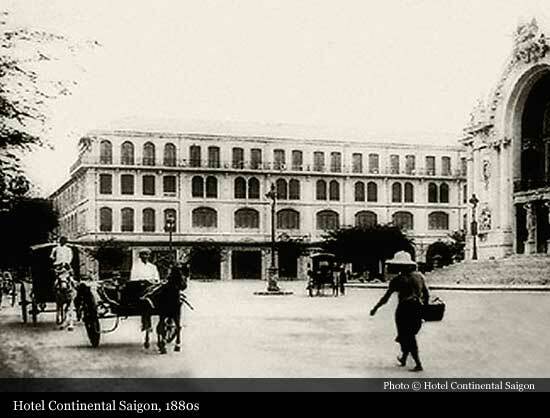 Next was the first drugstore in Saigon, the “Solinere Pharmaceutical,” which opened in 1865. 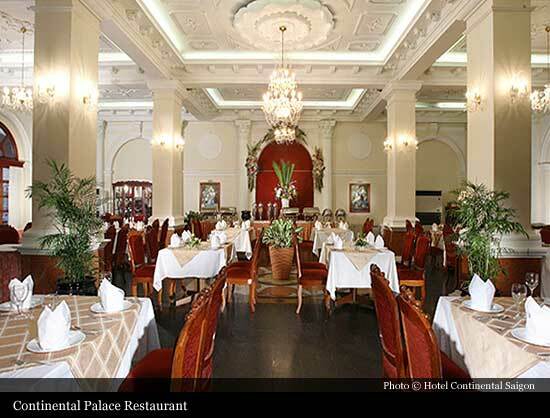 In 1878, Pierre Cazeau, a home-appliance and construction material manufacturer, started building the Hotel Continental with the purpose of providing for the French traveller, a French style of luxury accommodation after a long cruise to the new continent. 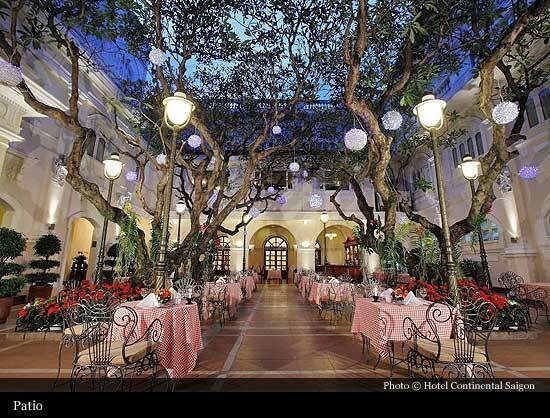 This project took two years, and in 1880 the “Hotel Continental” was inaugurated. In 1911, the Continental was sold to Duke Montpensier. In 1930, the hotel had a new owner, Mathier Francini, a gangster from Corsica, who ran the hotel until 1975. During the 1960s and 1970s, the Saigon Government commanded all signboards be written in the Vietnamese language; therefore the name “Hotel Continental” was changed to "Dai Luc Lu Quan". 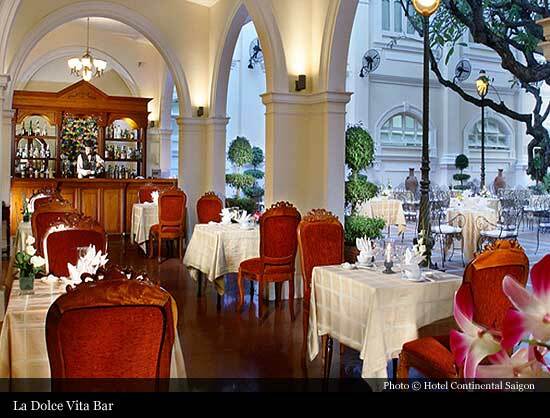 However, it is the Continental that holds its place in Saigon history, not its past owners. It continue to hold its fame through out time. By the beginning of World War II, the Hotel Continental hosted the great Indian poet Rabindranath Tagore (who won the 1913 Nobel Prize for literature), the award-winning writer Andre Malraux, whose “Man’s Fate” won the 1933 Prix Goncourt, and then the British writer Graham Greene (long-term guest in room 214) who wrote the well-known novel “The Quiet American” about the transitional period between the French Colonialnist and the United States of America in the Vietnam War. The Continental features prominently in “The Quiet American” in both the film and book. 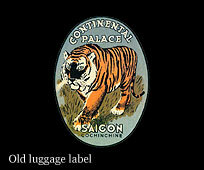 The Continental also is a central locale in the movie “Indochine” which won two Academy Award and one Golden Globe. The Hotel Continental was frequently referred to by the phrase “Radio Catinat”, since this was the rendezvous point where correspondents, journalists, politicians and businessmen talked about politics, the business news, and current events. 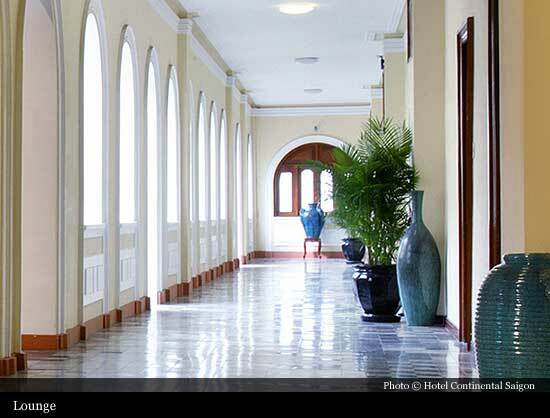 It’s not by coincidence that the phrase, if the walls of the Hotel Continental could speak, they could tell you many stories. During the American period, Catinat Street was known as Tu Do Street. Following liberation in 1975, the name "Tu Do" was changed to "Dong Khoi". 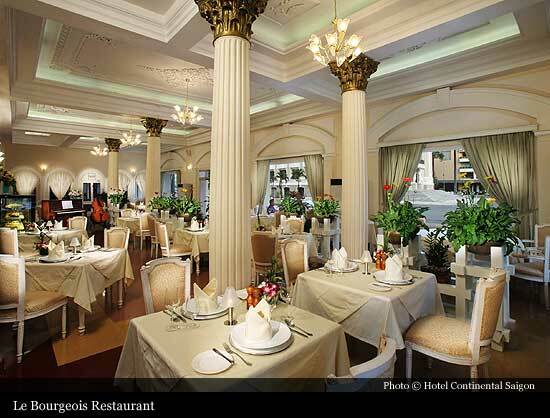 This history turned to a new period, and many outstanding people such as Jacques Chirac (Mayor of Paris during that period), the Malaysian Prime Minister Mahathir Mohamed, and many other politicians have stayed at the Hotel Continental to exchange views on the future of a new Vietnam. 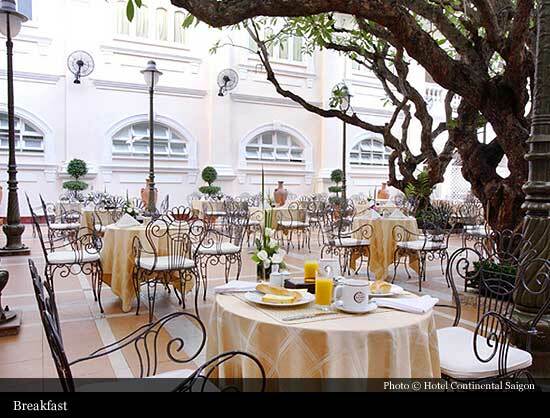 Nowadays, the Hotel Continental remains nestled among the classical buildings of old Saigon such as the Opera House, Notre Dame Cathedral, Ho Chi Minh City People’s Committee, facing the future without forgetting the past. 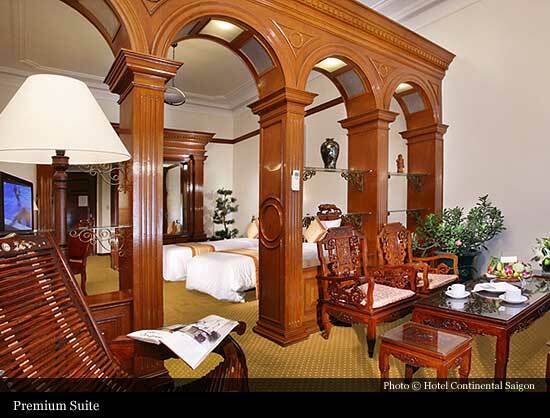 While Dong Khoi Street continues to hustle and bustle, the Hotel Continental Saigon still maintains the charm and majesty of its classical past. 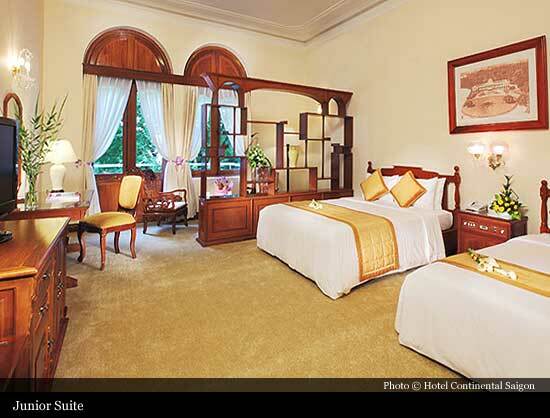 Inside this venerable building, a new generation of staff are dedicated to offering travellers a peaceful and relaxing stay in Ho Chi Minh City, one that they will remember fondly for a long time. 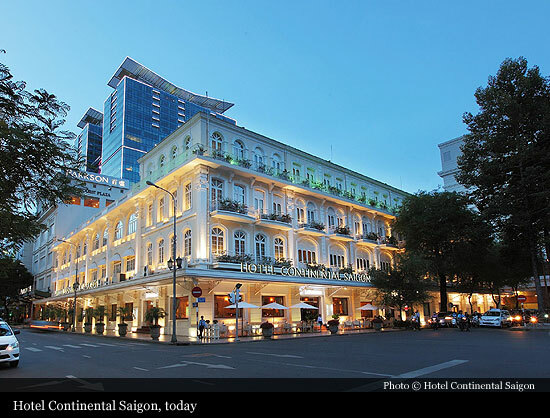 In 2012, the Ho Chi Minh City People's Committee issued decision that recognized Hotel Continental Saigon as Monument Architecture Arts of the City.